Don’t let the shoddy console-grabbed screenshot fool you. Sometimes the Switch’s screenshot function works great. This is not one of those times. Don’t let the shoddy console-grabbed screenshot fool you. 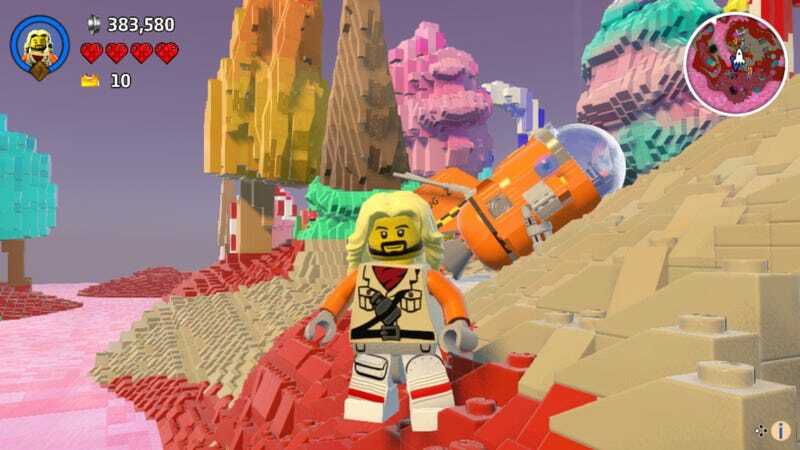 Lego Worlds is out on Nintendo Switch this week, and it looks and plays as well as the other console versions, with the added benefit of portability. Exploring is great on the go, but I’d recommend TV mode for precision building.